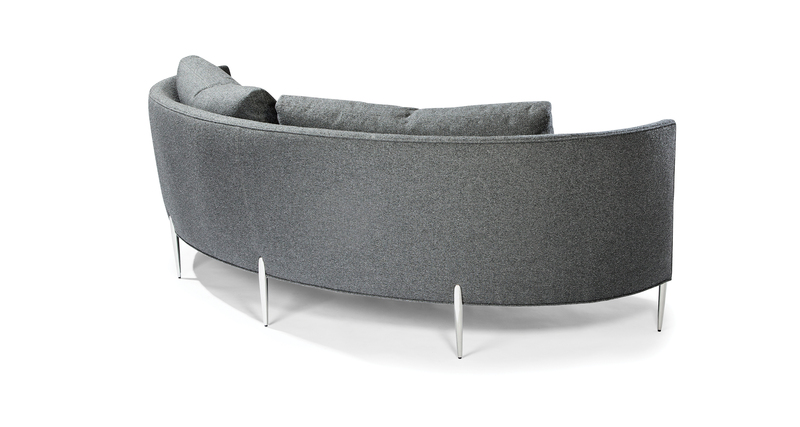 Designed by Ransom Culler, the Decked Out sofa is the epitome of curved comfort and elegance. 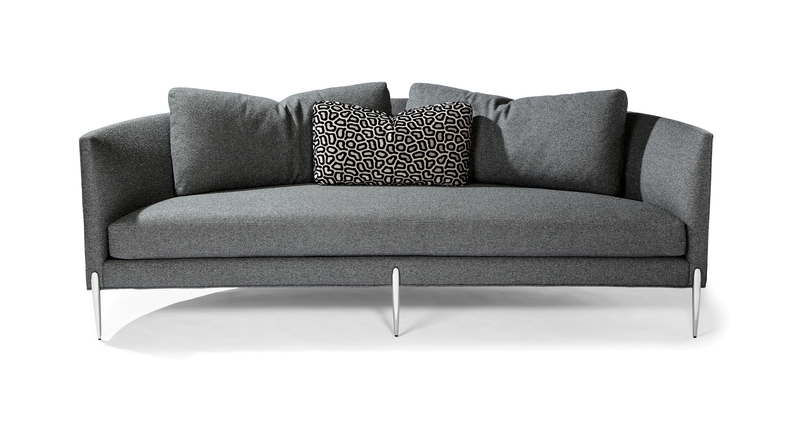 Our Decked Out sofa comes standard with luxurious poly blend down bench seating and durable double-needle stitching. Companion lounge chairs are also available. Select from our many fabrics or leathers or provide COM. Decked Out is also available with satin brass legs as No. 1365-303-SB. Legs are polished stainless steel. Standard with two 18 x 38 inch back cushions and one 13 x 26 inch back cushion.